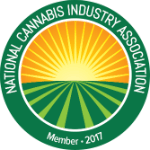 Created to provide helpful information about the South America Cannabis Industry. Most jurisdictions require an extensive seed-to-sale cannabis tracking system to monitor cultivation efforts and inventory. Our cultivation seed-to-sale-tracking solution provides comprehensive data tracking with an emphasis on compliance. Customized to meet the unique regulatory frameworks in each state, BioTrackTHC also features an all-in-one business tool to help you operate every aspect of the cultivation business by itself, or as part of the vertically-integrated cannabis business. Most jurisdictions require an extensive seed-to-sale cannabis tracking system to monitor processing and manufacturing efforts, which is especially important in this part of the supply chain due to conversions into multiple byproducts and higher amounts of waste. Our processing seed-to-sale-tracking solution provides comprehensive conversion tracking focused on compliant data points. Customized to meet the unique regulatory frameworks in each state, BioTrackTHC also features an all-in-one business tool to help you operate every aspect of the cultivation business by itself, or as part of the vertically-integrated cannabis business. Most jurisdictions require dispensaries to track and trace all of their cannabis-related products for regulatory and compliance reporting requirements. Our Dispensary Point of Sale and inventory management system provides comprehensive seed-to-sale cannabis tracking with a focus on compliant data points. If your state requires seed-to-sale systems to stay compliant, BioTrackTHC has you covered. Our system is customized to meet the unique regulatory frameworks in each and every state. NEW HAMPSHIRE SUCCESS STARTS WITH CONTACTING US!